The Original Big Wheel Girl's 16" Racer with Flag and Licence Plate. 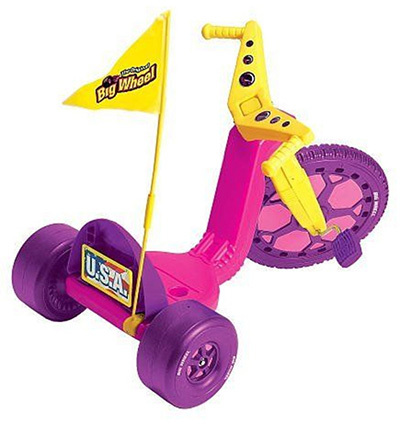 The Original Big Wheel 16" Girl's Trike w/ Flag Kit. 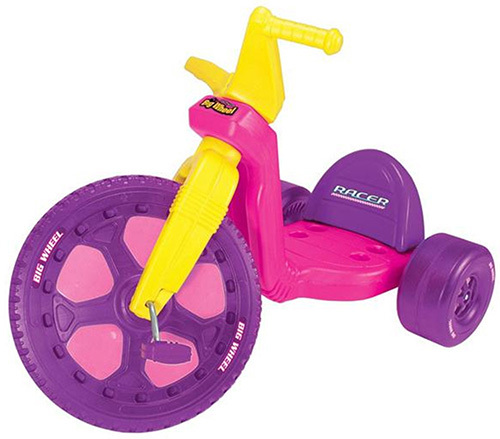 Color: Purple, Pink, Yellow w/Black Wheels. The Original Big Wheel® provided fun play for millions of children and enhanced the early development of their motor skills. Expedited & International Shipping is available. Please see table below. We also have a small number of Demo/ Used trikes. You can save a lot of $$! The Demo trikes are in great condition, only the wheels are show some light wear. They are shipped 95% Pre-Assembled in a plain brown box. Assembled Size: 36 x22 x 22".